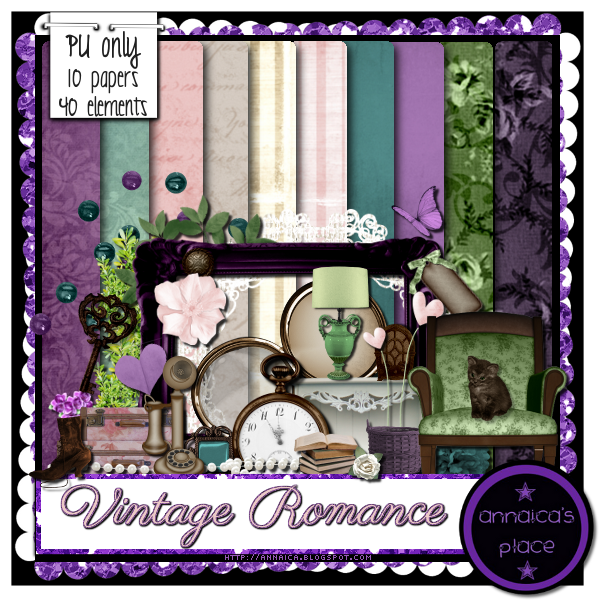 Above is my new kit, Vintage Romance. It comes in both full size and tagger size and will be available soon to download! It is PERSONAL USE ONLY and has 10 beautiful papers and 40 unique elements including an old phone, books, radio, clock/pocketwatch, skeleton key, luggage, jewelry, hearts, 4 ribbons/bows, one with a tag, locket, 6 flowers/foliage and 5 frames. 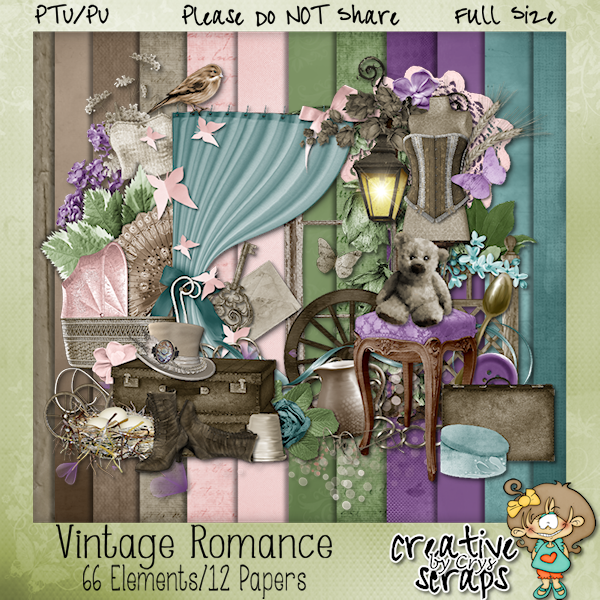 This kit is part of a collab between me and Creative Scraps by Crys. You can see her beautiful contribution below. 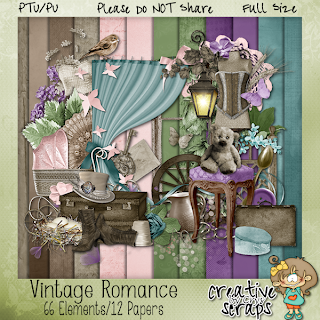 This collab is only available at Scrappin Dollars so check it out! Tagger HERE and Full Size HERE! 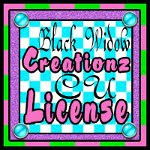 You can also purchase my kit separately at other stores I sell at. lovely, thank you so much for sharing it.